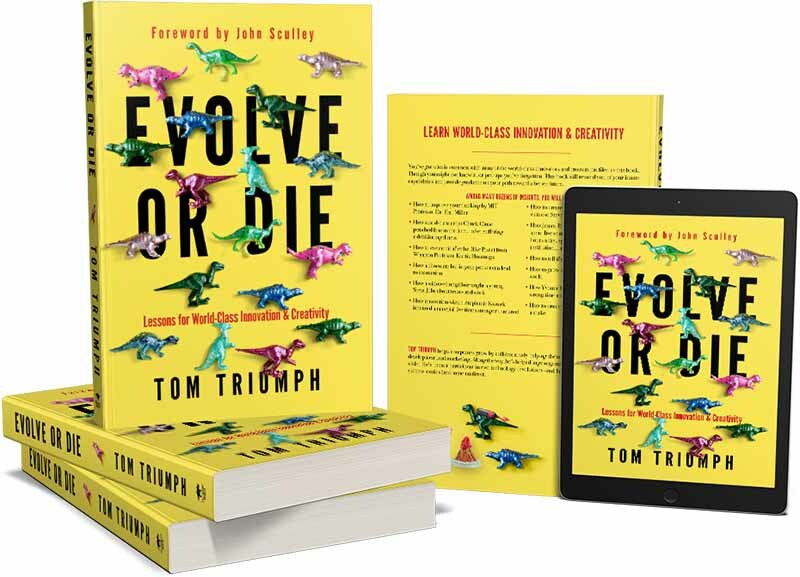 Assuming you’re someone interested in learning and improving– and making a difference– Evolve or Die was written with you in mind. Whether you’re a stay-at-home parent coordinating the endless duties of the family, or an entrepreneur orchestrating a finite amount of time and resources – you’re working to make a difference. And yes, your work and what you do matters. The book contains a culmination of experiences, thoughts, and learning– much of it from world-class innovators and creators. Every single story is true. And every story has relevance to you. Some common themes will emerge from these stories. Hard work, persistence, courage. Luck is sometimes present. Often, things were learned the hard way. And, as is the case whenever there are innovators and creators involved, there’s also a fair amount of love running rampant through the stories. Evidently, rampant is how love likes to run–especially when it’s heading toward a goal and vision. Perhaps most important, you’ll see that every one of these luminaries are made–not born. 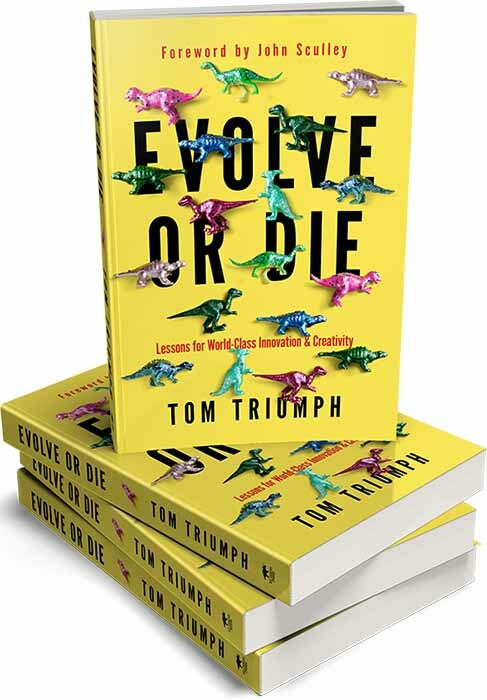 The title “Evolve or Die” is somewhat blunt, and it is an exaggeration. But my belief is that it’s closer to the truth than many people realize. And it’s my genuine hope that this book and the stories within on innovating and creating are of real interest and benefit to you. Assuming you’re someone interested in learning and improving– and making a difference– this book was written with you in mind. Whether you’re a stay-at-home parent coordinating the endless duties of the family, or an entrepreneur orchestrating a finite amount of time and resources – you’re working to make a difference. And yes, your work and what you do matters. 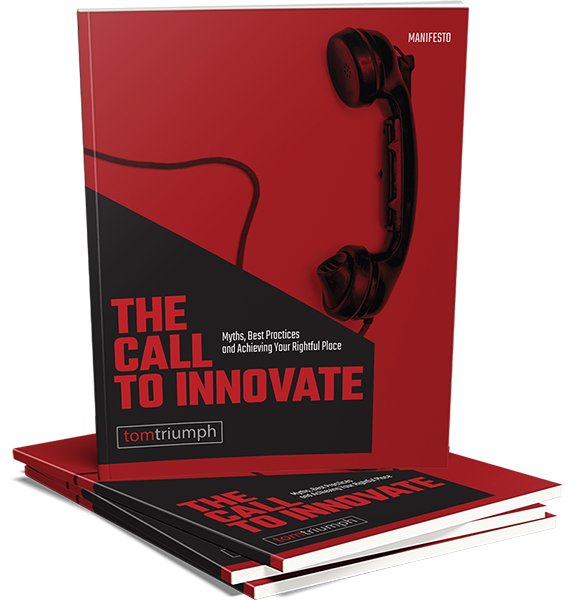 The book contains a culmination of experiences, thoughts, and learning– much of it from world-class innovators and creators. More from "Evolve or Die"
It might seem trite for me to write this book, but (in reference to Henry David Thoreau) you weren’t meant to settle for a life of quiet desperation. You’ll need to innovate and create. It’s better to learn from the champions, practice like your life depended on it (to an extent it does), and come out strong and punching above your weight (because you can). You’ve got a lot to offer this world. We all do. I’m in your corner, offering guidance and cheering for you. Get in the ring, come out swinging, and fight the good fight. 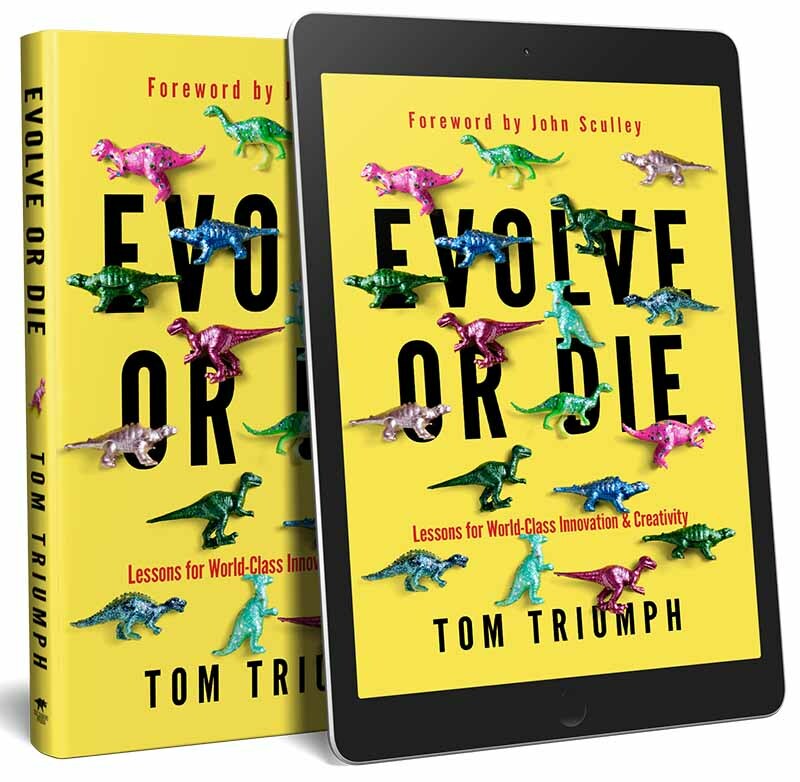 Please enjoy this free, introductory sample audio of “Evolve or Die” with my complements . . .